This should be fun. The Renault 21 Turbo Quadra - The GTS Type S Skyline - Mitsubishi Delica 4WD Turbo. 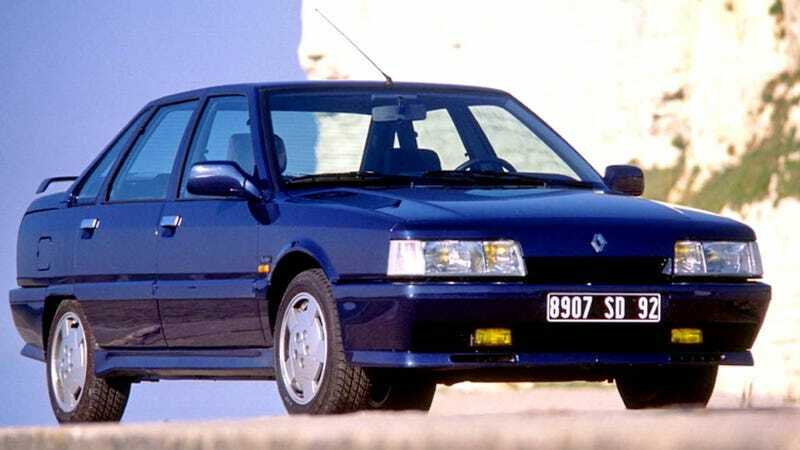 The 21 Quadra Turbo was a mid-size Renault from the 90's that produced 175HP from a 2.0 Turbo engine and had a Quadra 4WD system that propelled the boxy thing up to 141 mph. The interior is pretty much standard EU car from the 80's plus some red accents because TURBO. Next up we have a bog standard Nissan Skyline GTS Type-S, no trick engine or AWD, just a normal midsize sedan that served as a basis for one the greatest cars. It is powered by the well known RB20DE making 153HP in a RWD layout. Interior is also standard for Japanese cars from the 80's-90's. And last but not least we have a 4WD Delica with the a turbo engine of a different variety, a 2.5 Turbo-Diesel making 104HP and loads of torque. This one is the special Chamonix version, whatever that means. The interior is the coolest of the 3 to be honest.